The Division of Community Based General Pediatrics within Northwestern University Feinberg School of Medicine’s (Feinberg) Department of Pediatrics is staffed by contributed service faculty members. These clinical practitioners typically have a private practice of medicine and practice within the McGaw Medical Center. These professionals contribute to the academic mission of the Department of Pediatrics. "The Division of Community-Based Primary Care comprise a large number of pediatricians who are on the medical/dental staff at the Lurie Children’s. Many of these individuals serve the medical school as contributed service faculty and are outpatient preceptors, teach in a variety of settings, engage in clinical research and provide advocacy and leadership." 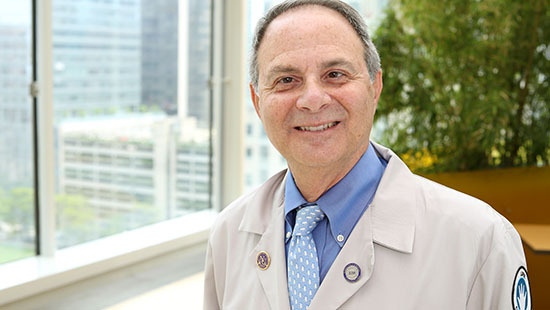 Contributed Service faculty members within the Division serve as educators and mentors to medical students, residents and other trainees of at Feinberg. They are involved in clinical research, leadership, and advocacy. Through active participation and mentoring, these faculty members can achieve faculty promotion, recognition, fulfill individual educational needs and reach professional goals. This Division does not offer a fellowship. Feinberg is not a patient care destination. Our faculty members see patients through Feinberg-affiliated care sites. Learn more via our Patient Care page. New pediatric patients are scheduled through KIDS DOC. To make an appointment, call the non-Feinberg phone number, 1-800-KIDS-DOC (1-800-543-7362), or request an appointment online.